These Tibetan Dzi Agate Stone beads are very unique not only in style but Spiritually and Culturally. 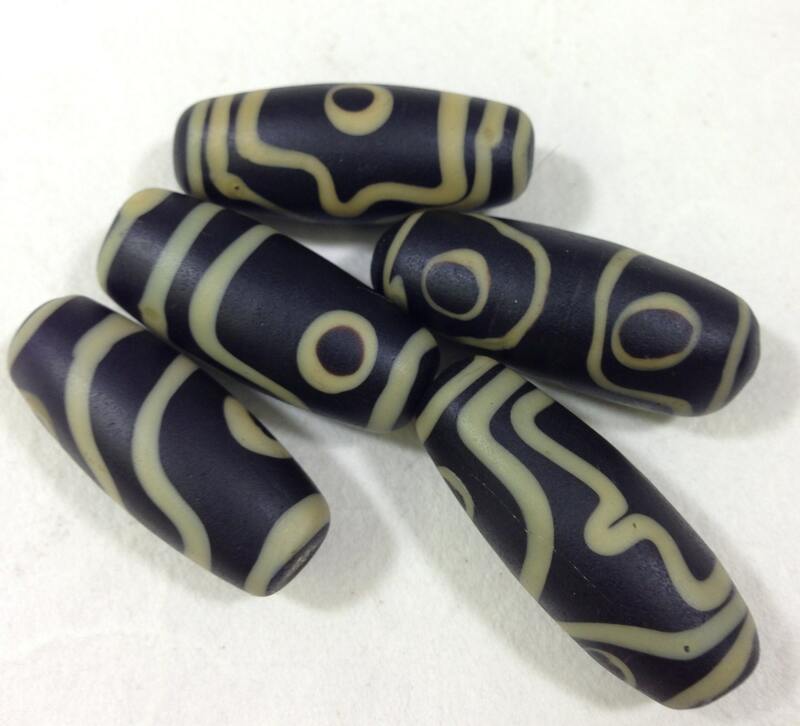 These beautiful Tibetan Handmade Brown and White Dzi beads with Eyes and Stripes come packaged in a quantity of 5. They will be beautiful in creating your Necklaces, Bracelets or Earrings. The Dzi can be trace back to the Indus river civilization, between 2000 to 1000 BC. Historical records and evidence, does shows that there is a craft in Indus river civilization about making beads. during the earlier Tibetan power in central Asia, Tibetan raiders has brought back home a thousands of Dzi beads from Persia. It is popularly believe as a human made, that art of making Dzi in still clearly unknown and its consider as a lots art of the world. The materials used in making Dzi is agate as a base stone. Tibetan believe it is not made by human hand. There is a popular believe among us that the Dzi is an insect and with the touch of human heat the inset become the Dzi. Some other believes it as a droppings of Garuda bird,and it is highly valued in Tibetan societies as a precious because of its rarity. We also cherish the bead as a hereditary gems. Pass down on hundreds of generation and wore by thousands of individuals. Dzi beads also has a medicinal value in Tibetan traditional medical system and it is used as a ingredient in high valued Tibetan medicine. 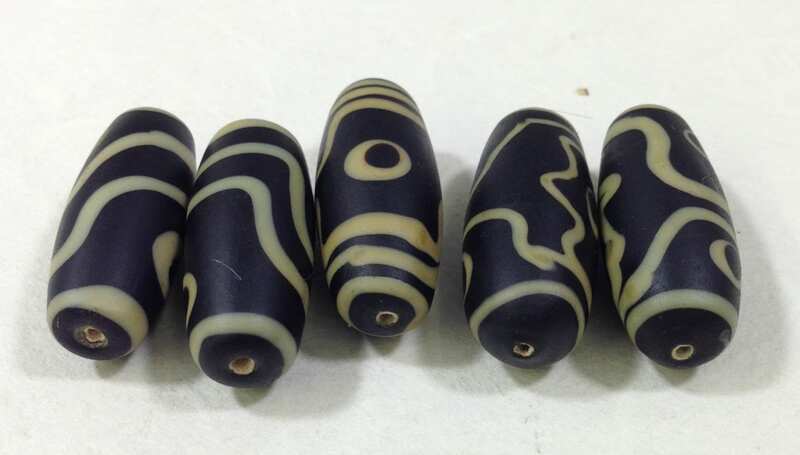 These Dzi Bead come with marking such as Stripes, Eyes, Lotus and sometimes they all combined. I am offering a variety of some older and newer ones. They have always been prized as protective amulets by the Tibetans. very good, I like it. good seller!